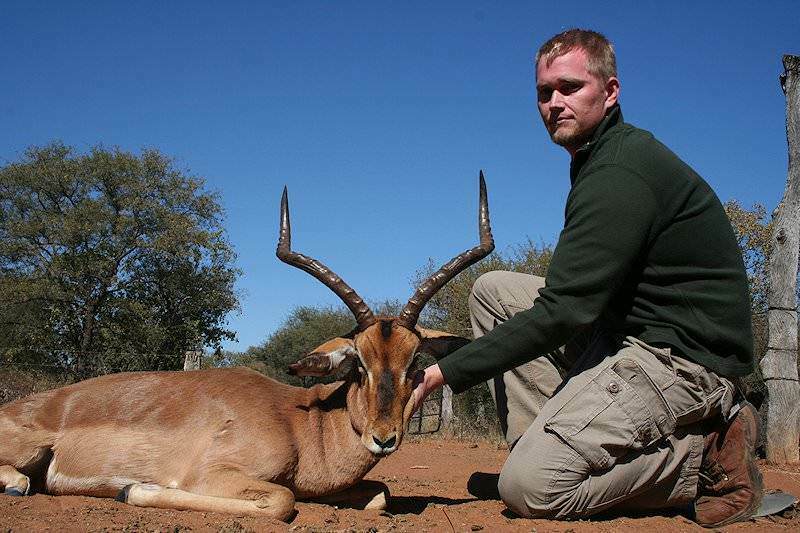 The impala is the most common antelope that can be taken on hunting safaris in South Africa. 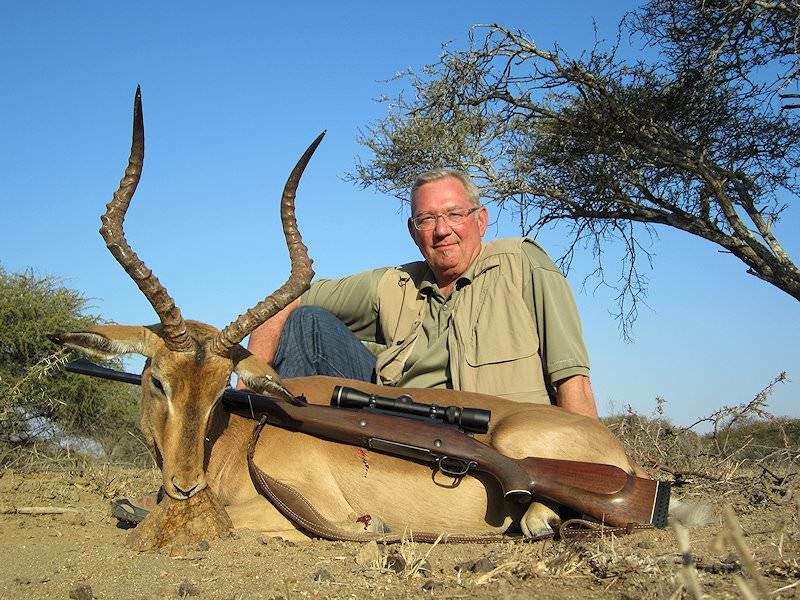 Hunting impala is on the agenda for just about every hunter who sets foot on the 'dark continent'. 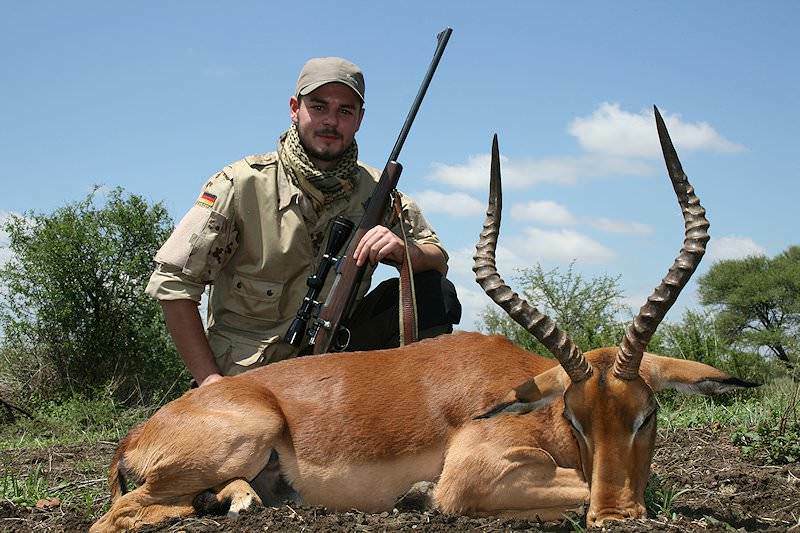 The rooibok (red buck), as he is known in Afrikaans, is the bread and butter antelope of Southern Africa. He is commonly used for camp meat, bait for leopard, and just to 'cut the teeth' of the new African hunter. 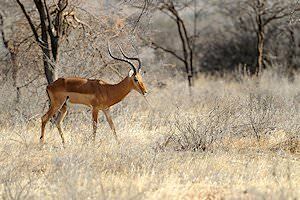 This graceful, medium-sized antelope is a sociable herd animal that frequents open woodlands, the bushveld, and the mopane scrub. Both a browser and a grazer, he will never venture far from water, as he must drink daily. The lyre-shaped horns are only carried by the rams, but the herd's propensity to bunch together in the dense brush can make it easy to make a mistake. 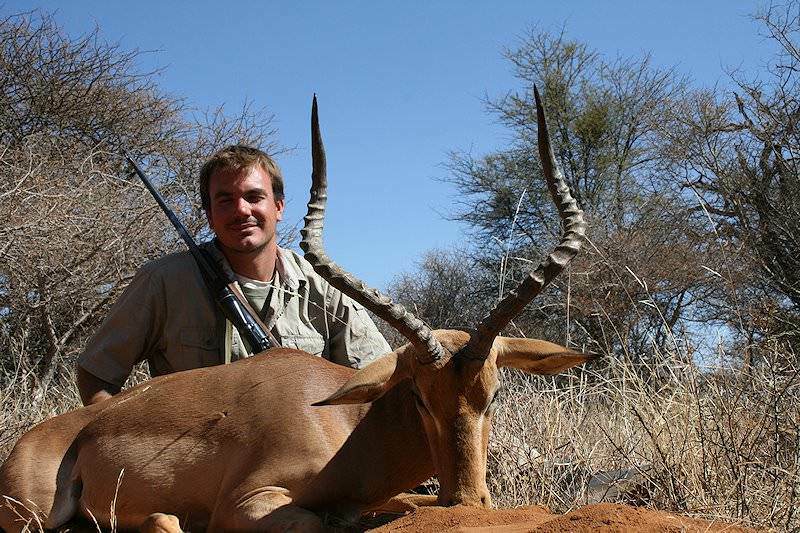 Hunting impala is best accomplished in the autumn rut when the best rams are usually found within the breeding herds. Be aware of the rooibok's keen sense of hearing and smell, not to mention his superb eyesight which all account for the need to make cautious and calculated stalks if you intend to “close the deal” on this quarry. 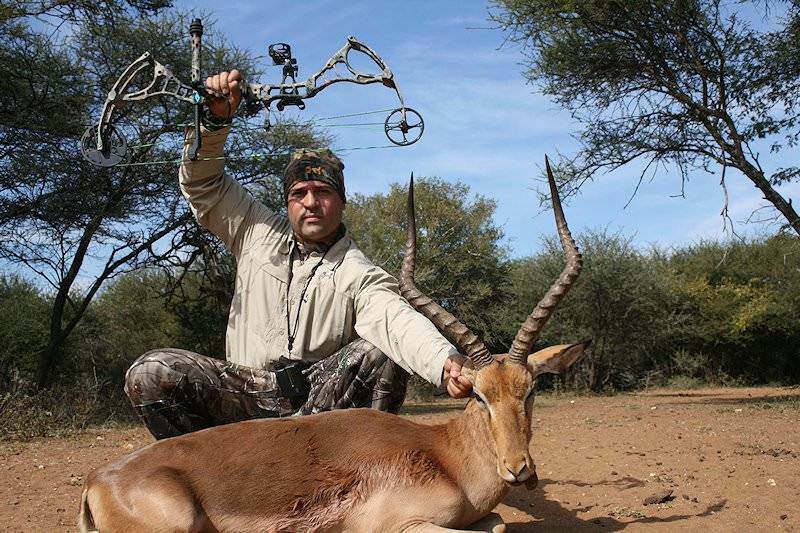 A couple more tips regarding hunting impala: he is most active during the cooler times of the day (early morning and later in the afternoon). Consider an ambush near known feeding areas. 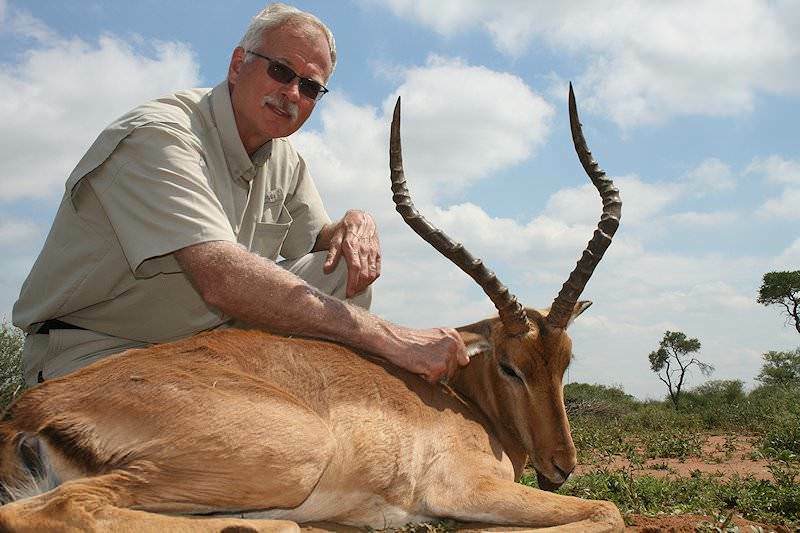 Exercise great caution when hunting impala, as when alarmed, they will herd tightly together, making it easy to shoot more than one with a single shot. A sub-species, the black-faced impala is easily identified by the black blaze on the nose and face and can be found mostly in the northern reaches of Namibia and Angola. 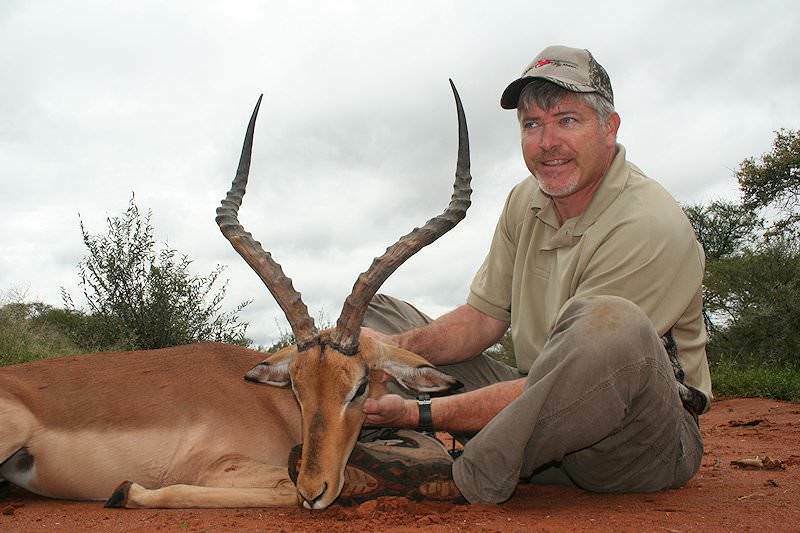 While hunting impala with the .22 centerfire is legal in most countries of Southern Africa, the 6mm, 7mm, right on up to the 30 calibers are probably a far better choice if you are not interested in tracking wounded impala for the better part of the day. 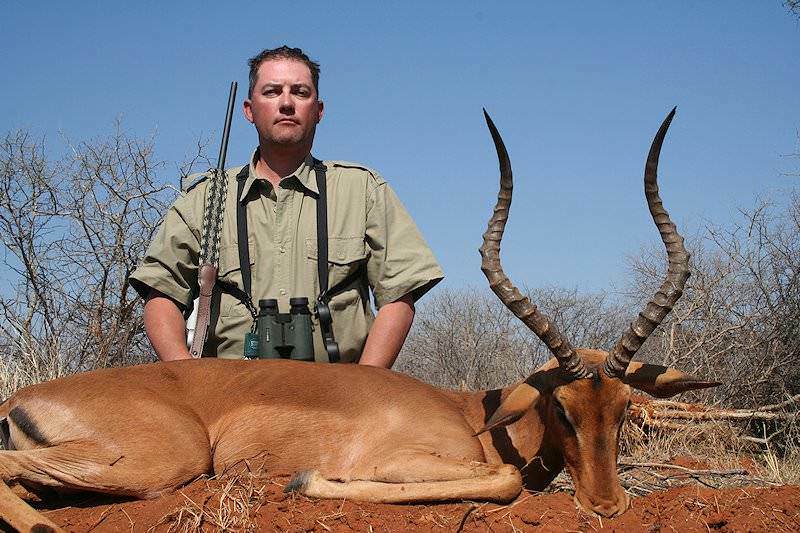 Quality, heavy-for-caliber round-nose bullets sport an excellent reputation for the bushveld conditions under which you are most apt to find yourself. 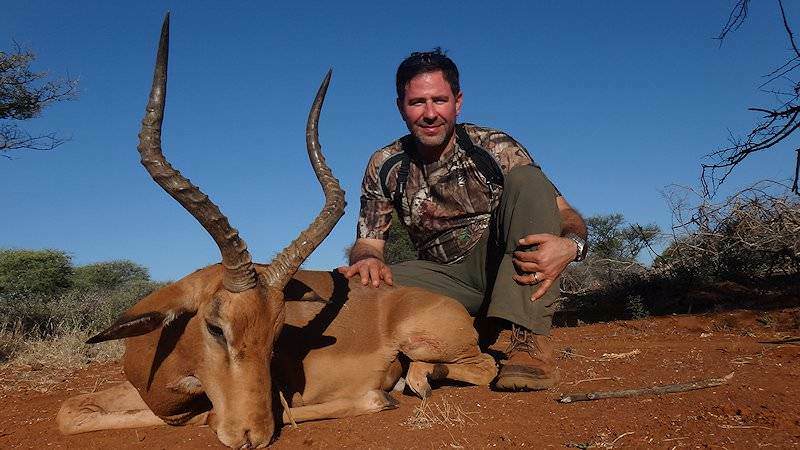 This medium-sized antelope is tough for his size, so the high heart/lung shot is going to be your best bet when hunting impala. If you are shooting for meat, the high lung shot will spoil less meat. Aim your shot directly up the fore-leg about one third or a bit higher and just a 'tad' to the rear if you are going for the lungs. The neck shot can be placed anywhere along the length of the neck. 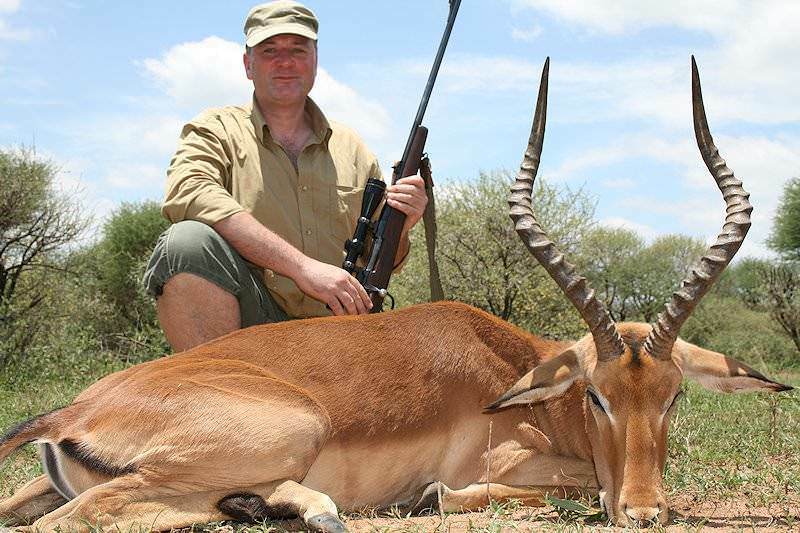 The brain shot should only be attempted by the experienced hunter and professional 'culler'; this shot is not for the average sport or meat hunter. 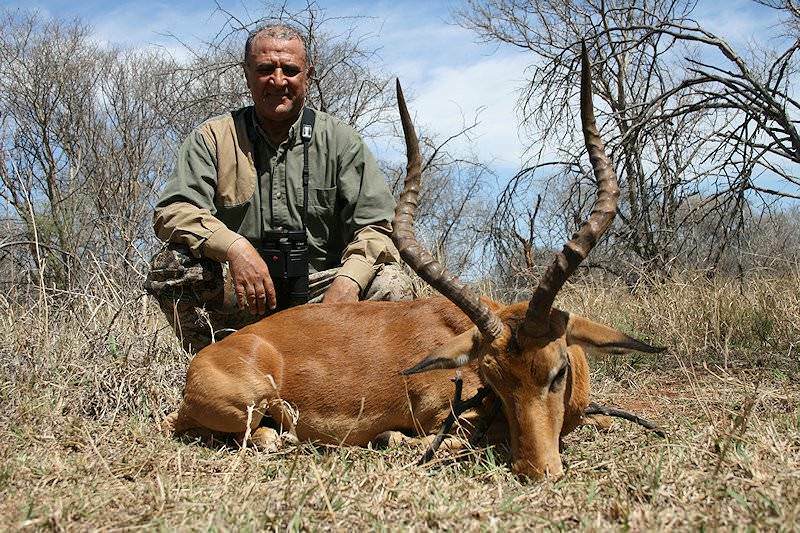 Hunting impala can make for a wonderful first hunt for the newly initiated African hunter, and a great first take on any safari just to get some meat for the table. Our most popular hunting package. 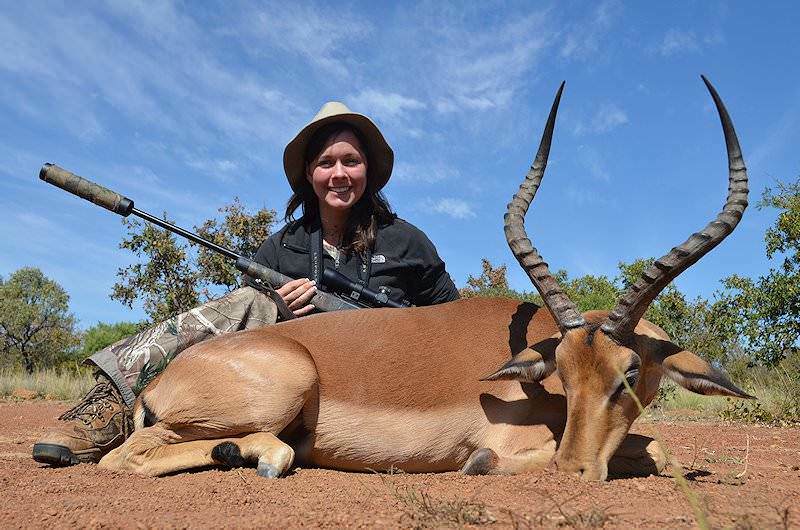 A short-but-sweet pursuit of three highly sought-after plains game species: impala, blesbok and blue wildebeest. 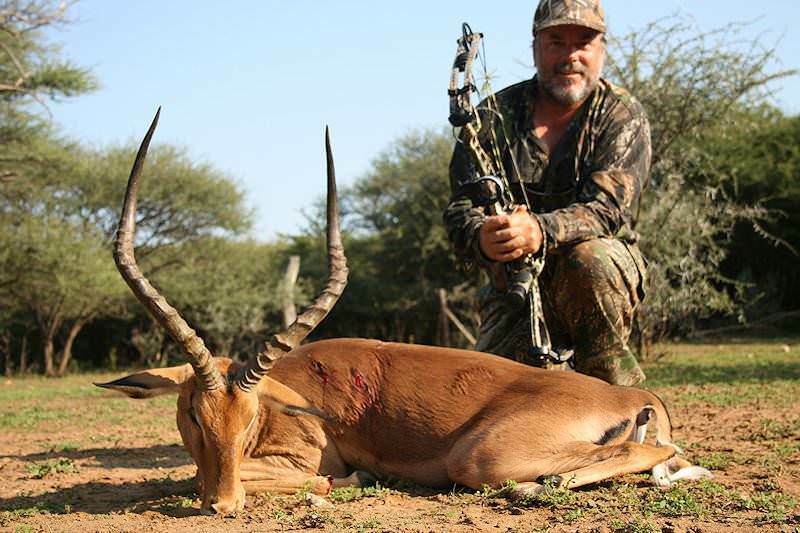 The hunt is conducted in the bushveld wilderness area north of Johannesburg. 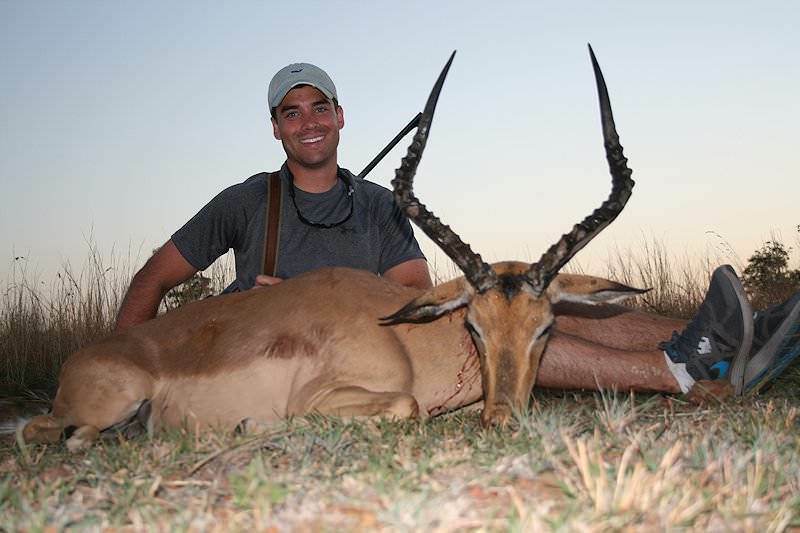 Immerse yourself in South Africa's iconic bushveld area over a week of authentic plains game hunting. 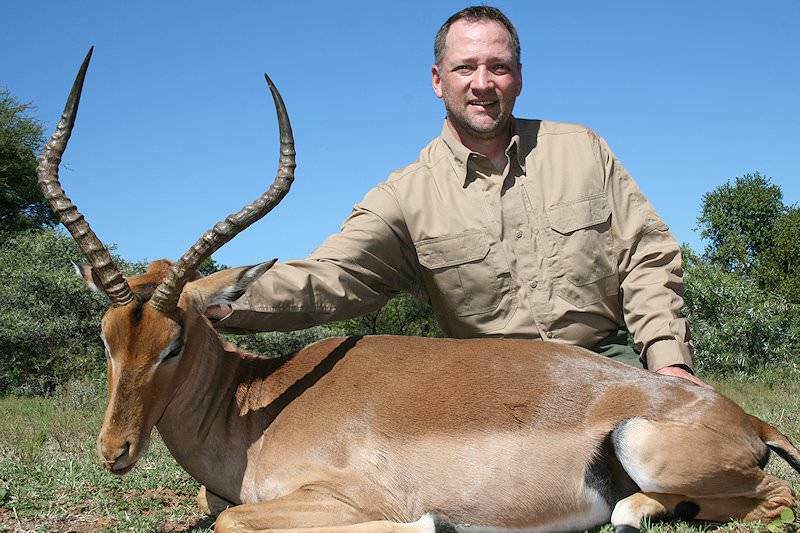 This 7-day hunting package includes a greater kudu, Burchell's (common) zebra, impala, blue wildebeest and warthog. 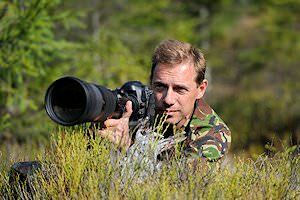 Combine your African hunting safari with an unforgettable photographic safari in South Africa's Kruger National Park - one of the most celebrated wilderness areas on the continent. 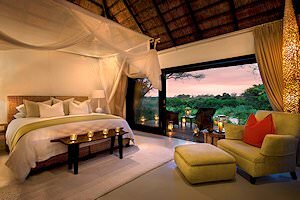 First, you'll hunt for zebra, blue wildebeest, warthog and impala in the bushveld. 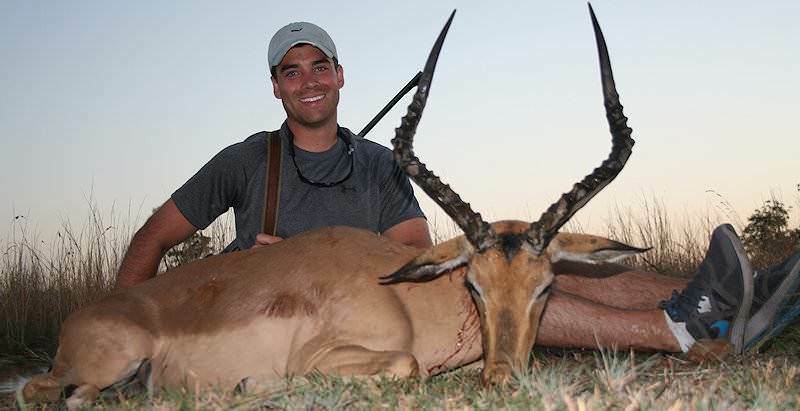 The ultimate bonding experience for father and son, our 10 Day Father & Son hunting package includes five sought-after plains game trophies: impala, kudu, gemsbok, blue wildebeest and zebra. 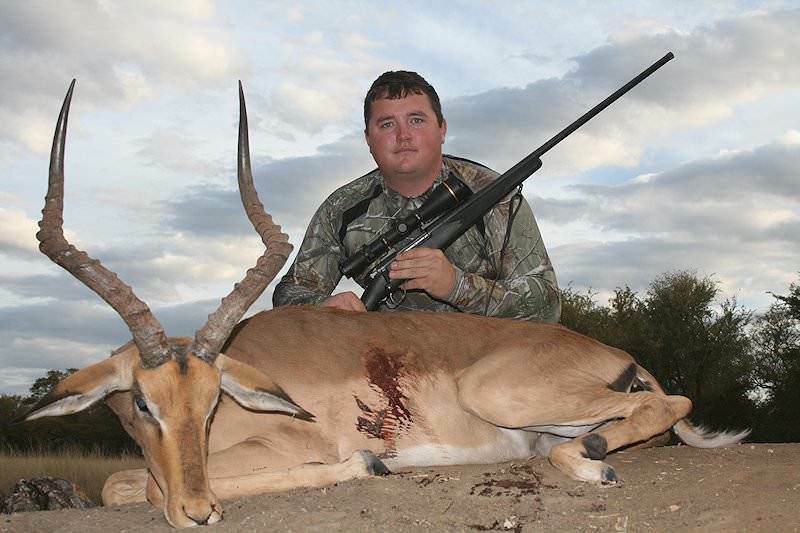 The hunt is conducted in the bushveld and eastern Free State. 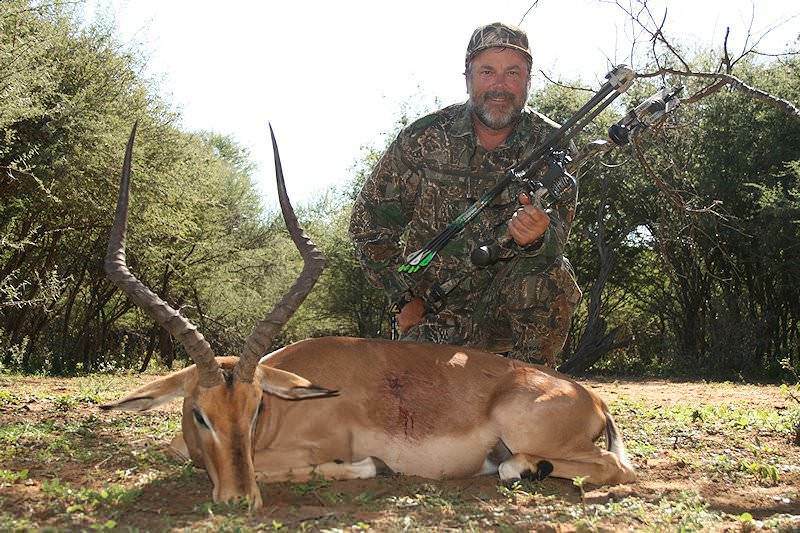 Experience two very different yet equally rewarding South African hunting areas on the 14 Day Bushveld & Free State package. 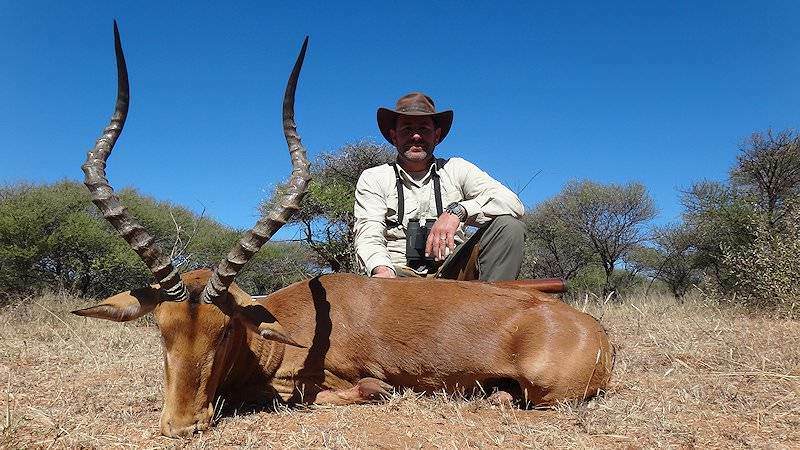 You'll pursue seven popular plains game species, including kudu, impala, blue wildebeest, black wildebeest, zebra, springbok and blesbok. 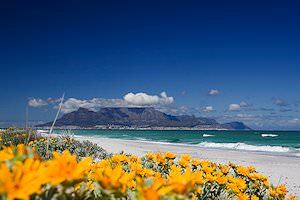 A truly immersive South African hunting adventure. 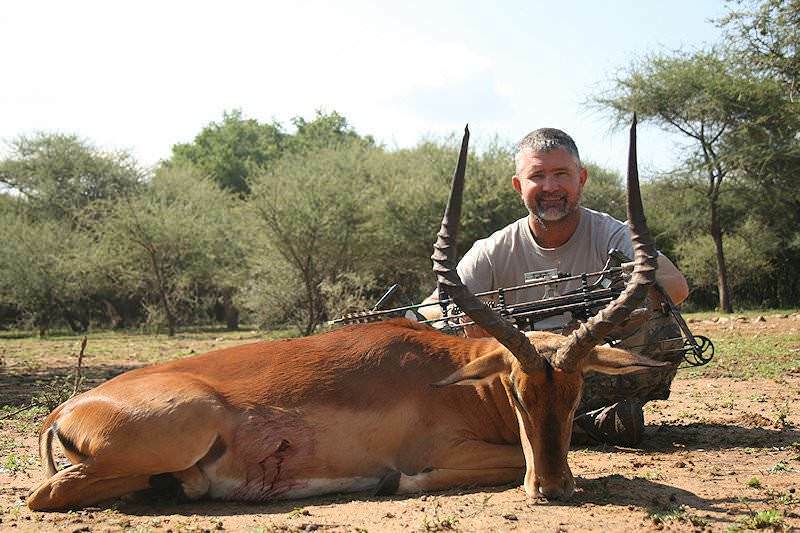 Hunt for kudu, gemsbok, bushbuck, blue wildebeest, impala, mountain reedbuck, warthog, zebra, black wildebeest, springbok, blesbok and red hartebeest in the bushveld, Eastern Cape and Free State.